WARNING! (Feb 2018) Google takes listings in Google Business very seriously. Avoid handing control of your listing to an SEO unless you know the SEO personally. Your site can be penalised for spam entries. Be wary of anyone who is using a foreign IP address and producing fake reviews on your behalf. Google appears to be waging a crackdown on dubious SEO's. Originally, a local business could create a listing for themselves on Google Maps by using Google Places. After the creation of Google Plus, Google also made it possible for businesses to create social pages on Google Plus and merge the two. Google Local Business Center (also called Google Places or Google Maps) is trying to make local search results more relevant. 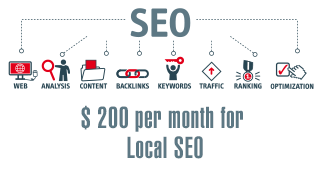 Often sites listed in the Local Business Center will be listed at the top of search results next to a map. This depends on the search query and the listings Google has. It allows you to confirm your listing via an automated PIN that can be phoned or posted to you to confirm your listing. Note this seems to have changed to a post card only possibly to ensure only authentic addresses are used. 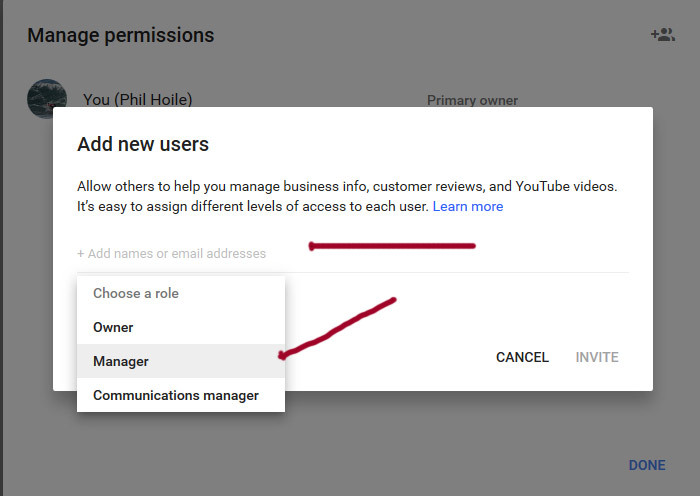 If you do not have a Google account you need to set one up - the one login can be used across many products. You can set one up at step 2. 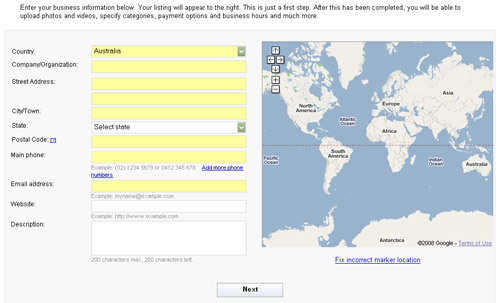 Google can locate you on its map from your address information. Enter your category - this is important to be listed accurately. There is other information you can also add like payments accepted. There can often be problems updating a listing in Google places, with a lengthy verification period required. Some people recommend starting a new account and deleting the old one when changing an address. However this is risky as you may end up with no account being listed. From Google Support: Actually, the correct procedure to change an address is to create a new listing and mark the old one permanently closed. 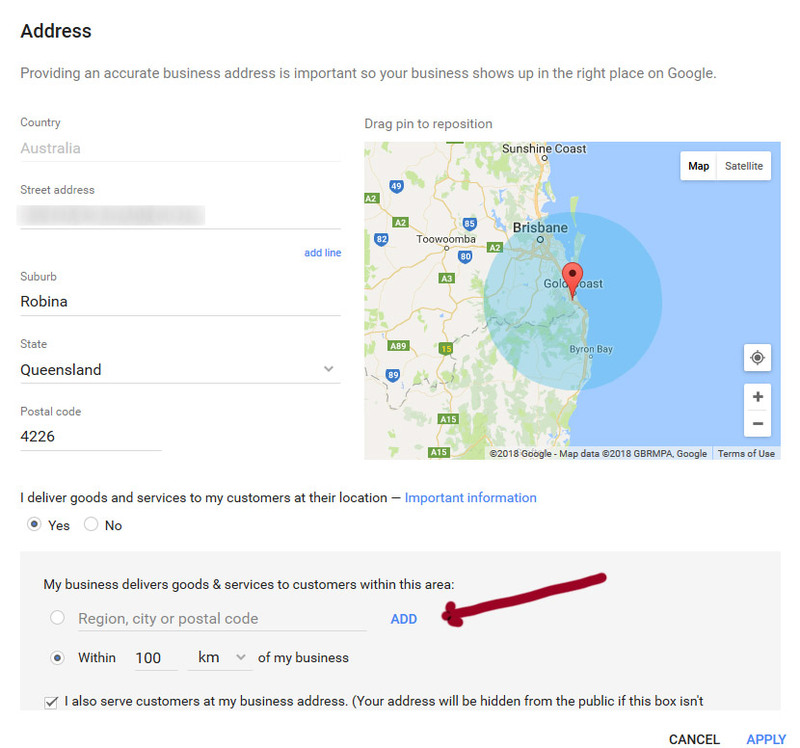 Google may penalise a listing if the address is not a business address yet claims to be. You may be asked to provide proof that business is carried out at the location. You can specificy an actual address but declare it as not as a place where people visit you. A radius and specific suburbs can also be listed. You can add users and give them roles. The users can be your website SEO or web developer or someone in your office. 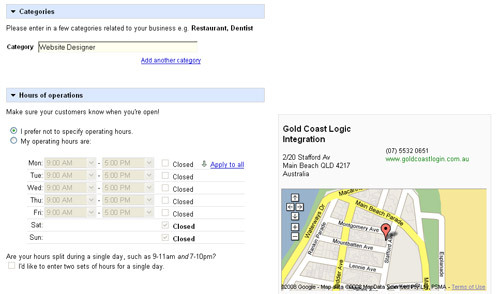 The distinction between Google+ and Google places (Google My Business) can be confusing. Google+ allows companies to have business pages similar to Facebook. This is where your customers and clients can go to rate and review your business. This is more of a social perspective than Google Places. You can, however, merge all of your Google Places information onto your Google+ Local page. In short, Google Places can still be used to manage your business listing, but it is Google+ that is likely going to give you all of your social engagement. But sometimes it is confusing to know if your listing is actually a Google+ listing or a Google Places listing - to find out follow the steps listed above in Updating a listing in Google Local Places as this will difinitively indicate whether it is a Google+ listing or a Google Places listing. If you manage this yourself - great, however if you have someone else manage this (e.g. a marfeting company) and your relationship ends you could be in for months of follow-ups to get your listing correct. 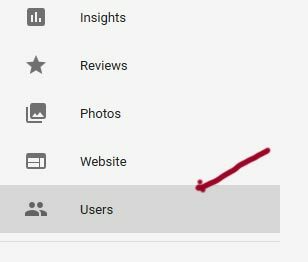 Check this article on at the section on Combining Your Google Places Page and Google Plus Page as it discusses the circumstances when you should not combine Google Places with Google Plus for your business. I'm getting a lot of contact forms and phone calls. A lot!